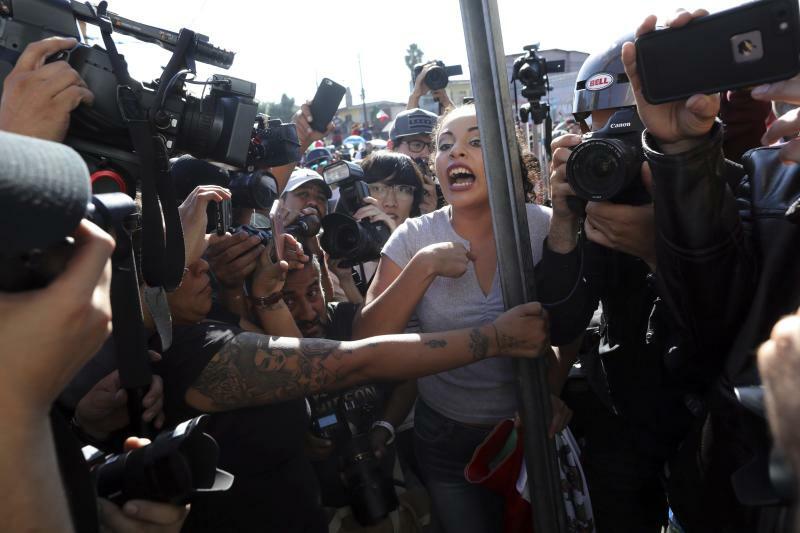 Such inconveniences prompted by the arrival of the migrant caravan may have played a role in Sunday's protests, when about 400 Tijuana residents waved Mexican flags, sang the Mexican national anthem and chanted "Out! Out!" referring to the migrant caravan that arrived in the border city last week. Some Tijuana residents supported the migrants, but others accused them of being messy, ungrateful and a danger to the city. They also complained about how the caravan forced its way into Mexico, calling it an "invasion." And they voiced worries that their taxes might be spent to care for the group. A block away, fewer than a dozen Tijuana residents stood with signs of support for the migrants. Keyla Zamarron, a 38-year-old teacher, said the protesters don't represent her way of thinking as she held a sign saying: "Childhood has no borders." Instead, the state will provide water, some food and escorts at nine points along the main highway leading through the state to help ensure the migrants don't have to stop.